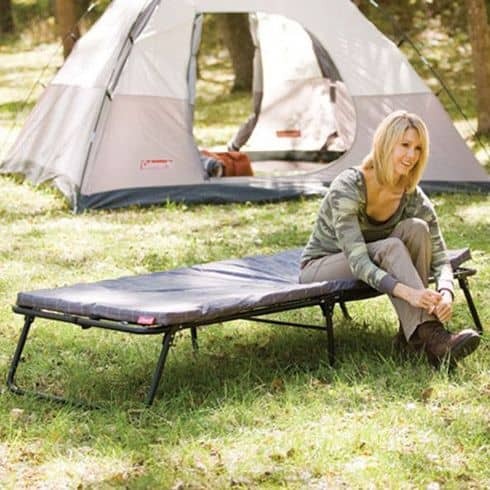 All the tents on this page have a minimum of 99 sq feet sleeping area. With a total of 61 tents to choose from, prices and sizes vary considerably as you can see below. I have divided the tents into 5 groups and summarized the pros and cons. 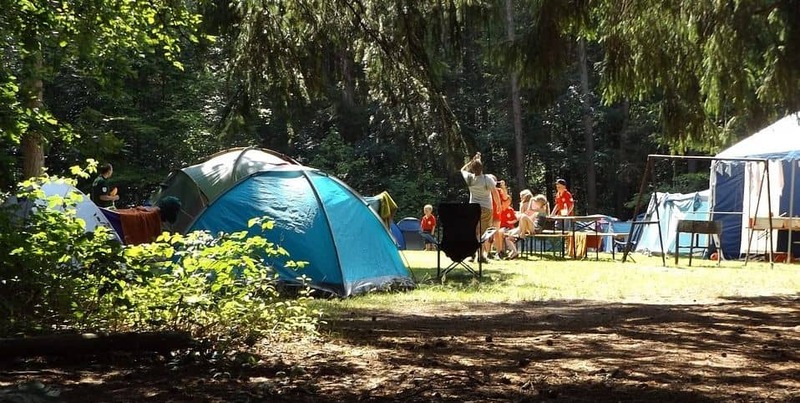 Skip straight to the best of the best large family tents page section. 50 tents have a good overall score of 74% or better. All those with perfect score's have less than 5 reviews, making it difficult to buy them based on ratings alone. With good overall scores Eureka's Copper Canyon 6 and the larger Copper Canyon 8 Two Room cabin both excel. 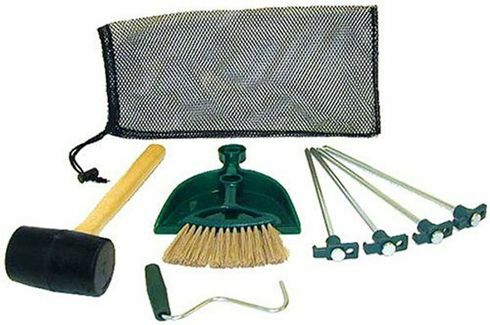 One other manufacture gets great ratings with its Canvas Flex Bow Deluxe 6 and its Canvas Flex Bow Deluxe 8 Ideal for four season camping, Kodiak Canvas makes them both. These canvas cabin tents are made to enable you, to be able to camp out all year round, just bring a heater if your planning on camping in the dead of winter. "pictured above" is the 8 man version. Core's Extended Dome 9 along with the Big Agnes Flying Diamond 8 are both modified dome tents, these have a little less headroom than the four cabin tents above. 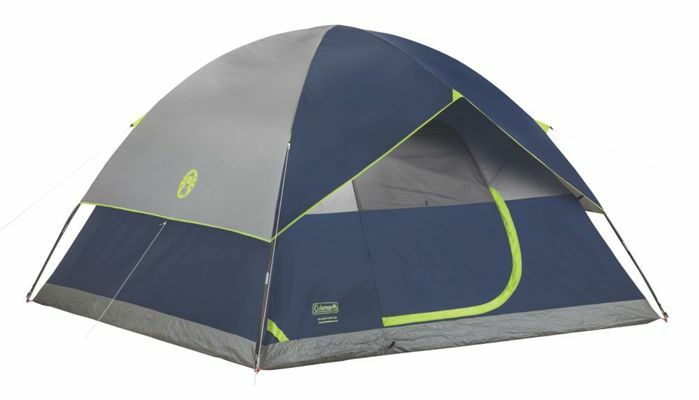 The Extended Dome 9 is the newest of all the six tents with excellent ratings. Twenty of the tents are nicely discounted. Of these, 12 have a low overall score, another two have very few reviews. 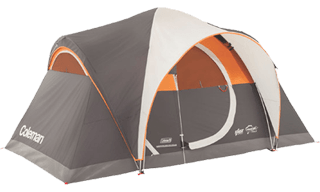 From the six that remain, two are made by Wenzel the largest is a very large cabin tent, currently discounted to $155.00 info_outline the Great Basin is one of the best value for money tents available today. The other is not so big and more expensive making it a fairly easy choice between the two. The other four are all made by Coleman. 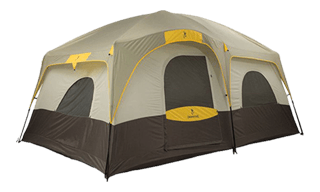 The smallest is an easy to setup dome tent, the Sundome 6 often on sale, this tent can sometimes be found for just under $100. One of my favorites the Montana 8 it has more than 1500 reviews and is currently discounted 46% info_outline making it a great deal. With 144 square feet of sleeping area the Evanston 8 is the largest of the four. 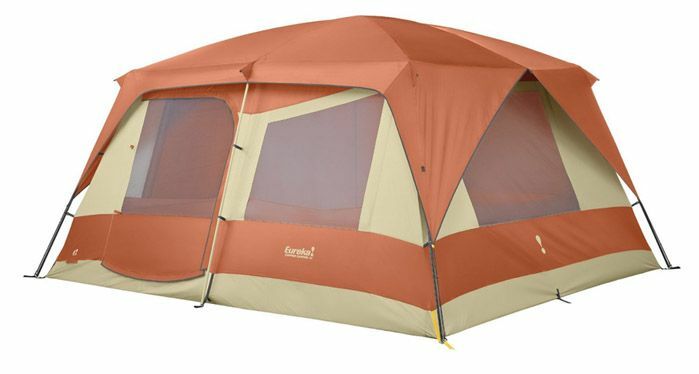 The last is the Evanston 6 Screened at its current price $119.99 info_outline it is a great deal, even if it was not discounted it would still be worth consideration, based on it's size and the fact that it has a fully screened porch to keep extra your gear in. 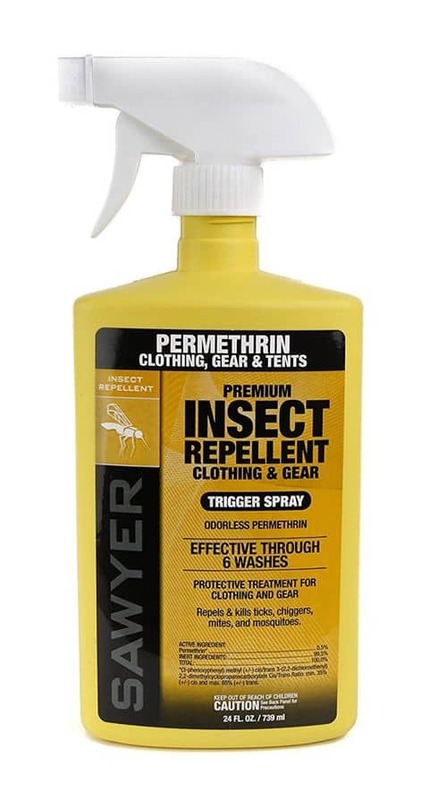 It was also the most frequently purchased tent on this website during 2014, 2015 and 2016. 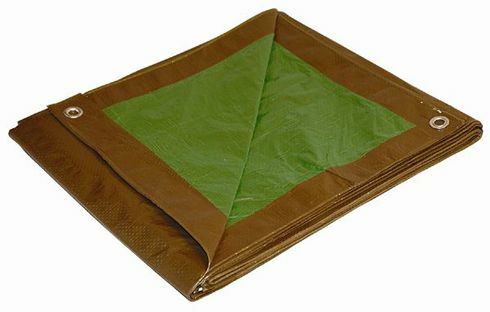 All Coleman tents come with a solid 1 yr limited manufacturer's warranty. 13 of the tents have over 150 square feet of sleeping space. Three have pretty much no reviews so can be excluded and another two have poor reviews. Two of the remaining tents are modified dome tents the Evanston Screened 8 has 140 sq feet of space and 6' of headroom. The Grand Pass Family Dome made by Mountain Trails has exactly the same sleeping area and a little extra headroom. Both are reasonably priced. Below is a homemade video of the Grand Pass. The other two are both cabin tents, these types of tents are very popular with larger families as they generally offer a lot of space along with lots of headroom. Both come with a heavy duty steel frame and shockcorded fiberglass poles. 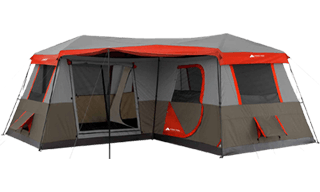 The biggest is Eureka's Copper Canyon 12 Two Rooms this is a huge tent 14 ft long by 12 ft wide and 7 ft high, suitable for the largest of families. Eureka's history and attention to quality makes this a great choice. 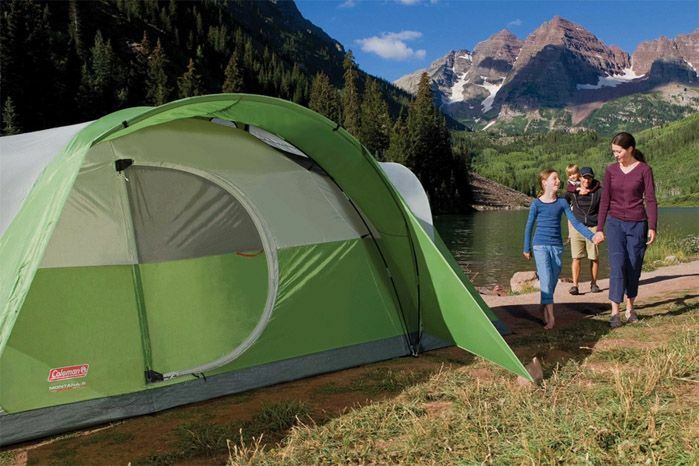 The Great Basin "pictured below" is bigger than the first two modified dome tents. 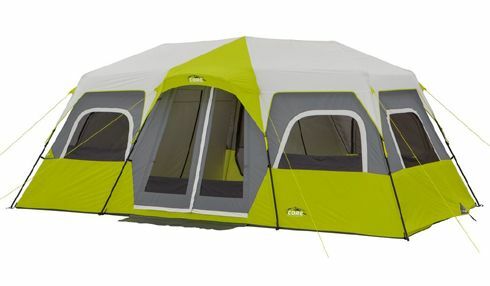 Currently discounted to $155.00 info_outline "when prices where updated" Apr 19th, 2019	this tent represents real value for money and is ideal for large families on a budget. Currently more than 10 of the tents are selling for less than $150 after discounts. Two of these have less than five reviews, another three have poor ratings. 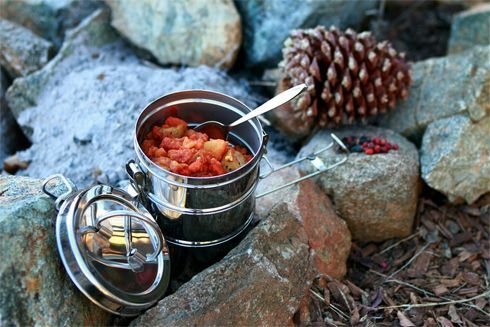 All of the remaining three have already had favorable mentions in the above sections of the page, the Evanston 6 Screened is nicely discounted the Great Basin "pictured above" is a massive tent with a huge discount. 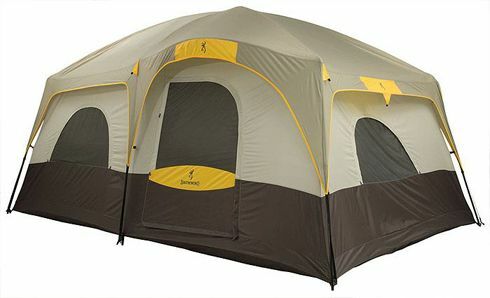 The Sundome 6 "pictured below" is one of only three decent sized tents that can be often found under $100 with good ratings, it also comes with fiberglass poles making it is one of the lightest tents of it's type, weighing in at under 17 lbs. 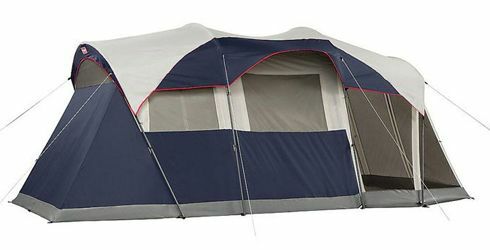 Coleman's Montana 8 "pictured below" is by far the best selling tent, with lots more reviews than the next best, the Weathermaster 6 + Porch also made by Coleman. The Instant 8 follows closely. 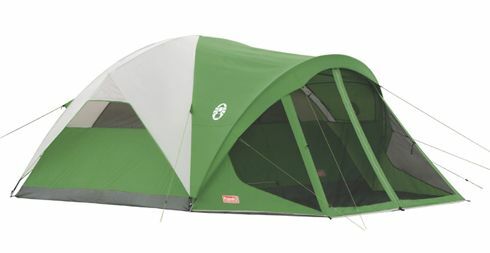 Only one has good ratings and could be considered excellent value the Montana 8 is amongst the best selling tents on Amazon representing excellent value for it's size at the current price of $124.39 info_outline. 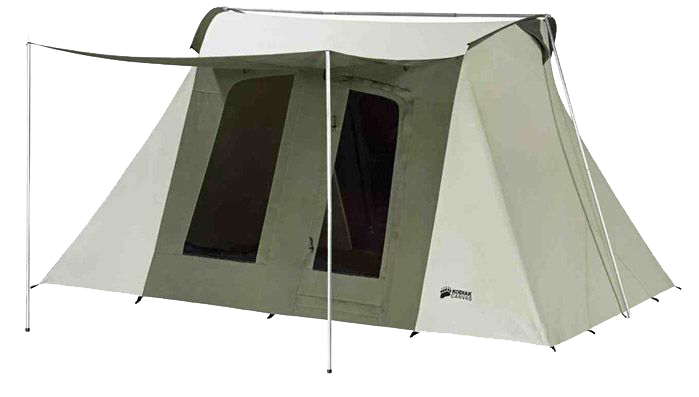 With 55 tents falling into this category, it is very difficult to single out one and state "this is the best" One of them can easily be considered as the "best value for money" that is the Montana 8 from Coleman. 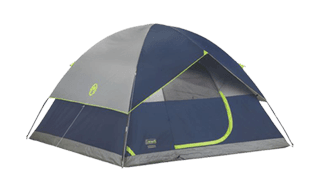 It represents awesome value for any family not wanting to spend more than $149 Watch a video and see how easy to setup this tent is. 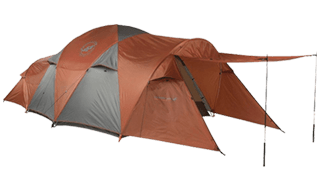 The Copper Canyon 12 "pictured above"comes with a "Lifetime Warranty" It is a huge tent with 168 square feet of sleeping area and 7 ft of headroom. Even the largest of families will still be able to find a little space in its two rooms whilst on holiday. Though quite an investment initially at the current price of $329.30 info_outline It's worth noting these tents have a reputation of lasting for a very long time, if cared for correctly. The other thing to consider is it is one of the cheapest, when you consider the price per square foot.